Four years after a Navy SEAL team killed Osama bin Laden in his compound in Abbottabad, Pakistan, lingering questions remain about the raid and what led up to it. 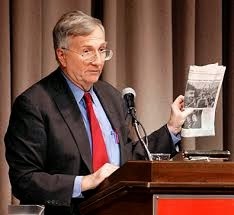 Now, in a 10,000-word article in The London Review of Books, the journalist Seymour M. Hersh challenges nearly every facet of the semiofficial narrative that has emerged over the years, alleging a vast cover-up that involves hundreds, possibly thousands, of people and goes all the way to President Obama himself. The gist of Mr. Hersh’s report is that Pakistan harbored Bin Laden for years with money paid by Saudi Arabia. Once the United States found out the Pakistanis had Bin Laden, Mr. Hersh writes, it offered Pakistan’s generals a choice: Help the United States kill him or watch billions of dollars in American aid disappear. The Americans and the Pakistanis then worked together to plot the raid, Mr. Hersh writes. In its bold claims, Mr. Hersh’s article, relying largely on anonymous sources, pairs plausible alternatives to the details about the raid presented by the administration with a number of much more questionable claims. Were it not for the byline of Mr. Hersh, a Pulitzer Prize-winning journalist who first gained notice more than 45 years ago for exposing the My Lai massacre in Vietnam, the story would likely have been readily dismissed and gained little attention. In one conceivable episode, Mr. Hersh writes that American intelligence officials were alerted to Bin Laden’s whereabouts by a Pakistani military officer who walked into the United States Embassy in Islamabad and was subsequently paid a reward and moved by the C.I.A. to the United States. The account told by the Obama administration after the raid — that the C.I.A. tracked down Bin Laden through the work of dogged analysts — was a ruse intended to protect the real informant, according to Mr. Hersh. It is a deception that the C.I.A. has employed before, claiming for years that it discovered that one of its own, Aldrich H. Ames, was passing intelligence to the Soviet Union through the work of a team of analysts. The truth that eventually emerged was that crucial evidence against Mr. Ames came from a Soviet spy working for the C.I.A. Yet other claims by Mr. Hersh would have required a cover-up extending from top American, Pakistani and Saudi officials down to midlevel bureaucrats. One example is Mr. Hersh’s claim, based on anonymous sources, that administration officials were lying when they said the SEAL team recovered a trove of intelligence from Bin Laden’s compound. If he is right, that means the United States knowingly allowed an F.B.I. agent to perjure himself at a federal trial of a member of Al Qaeda in New York in February. In his testimony, the agent described in detail how he received computers, hard drives, documents and other material from the SEAL team members immediately after they landed at a base in Afghanistan. He then spent 17 hours cataloging the material before it was put on a plane back to the United States. The detail, if manufactured, is stunning: The agent, Alexander Otte, listed the types of materials he had received, including the size of some of the digital storage devices recovered (a two-gigabyte micro-SD card, a four-gigabyte thumb drive), and even the brands of the devices (Sony and Kingston). Mr. Otte also testified that he saw the body of Bin Laden, which Mr. Hersh reported had been largely dismembered by gunfire during the raid. The SEAL team members then threw some body parts out of the helicopters on the way back to Afghanistan, Mr. Hersh writes, though he did report that Bin Laden’s head was largely intact. Mr. Otte, in his testimony, offered a very different account: Asked if the SEAL team members had a body with them, he said, “It was the body of Osama bin Laden.” At no point did he describe the body as being in pieces or having been decapitated. His manner was cheerful and breezy, and he seemed unfazed about the controversy his reporting has stirred up. It is not the first time that Mr. Hersh’s work has been met with hostility from the authorities, and he laughed loudly at the mention of the denials from the White House and others. “Those are classic nondenial denials,” he said, before rushing off to take a call from another reporter. Mr. Hersh is not the first person to present this version of events. A similar account was presented on Aug. 7, 2011, on the blog The Spy Who Billed Me, which is run by R. J. Hillhouse, who tracks national security issues. Ms. Hillhouse lacks the pedigree of Mr. Hersh, who more recently detailed the abuse committed at the Abu Ghraib prison in Iraq. There are also the varying narratives spun out by the White House in the days and weeks after the raid. Mr. Hersh’s story would probably have gained much less traction had it not been for the often contradictory details presented by the Obama administration after the raid, and the questions about it that remain unanswered. "Not a day goes by without at least one country from these lists appearing on the front page of a major newspaper. Humanitarian crises fueled by waves of terror, intimidation and violence have engulfed an alarming number of countries over the past year,” said USCIRF Chair Dr. Katrina Lantos Swett. As per the recent report (read this report) presented by the US Commission on International Religious freedom (USCIRF), Religious minorities in India are not safe and have been subjected to “violent attacks, forced conversions” and ‘Ghar Wapsi’ campaigns by groups like Rashtriya Swayamsevak Sangh (RSS) after the Narendra Modi government assumed power in 2014. In its 2015 annual report, the US Commission on International Religious Freedom (USCIRF) asked the Barack Obama Administration to take necessary action against the Indian government to publicly rebuke officials and religious leaders who make derogatory remarks about communities and to boost religious freedom standards in India. USCIRF panel said that despite the country’s status as a pluralistic, secular democracy, India has long struggled to protect minority religious communities or provide justice when crimes occur, which perpetuates a climate of impunity. Incidents of religiously-motivated and communal violence reportedly have increased for three consecutive years, the panel said in its key findings. Andhra Pradesh, Uttar Pradesh, Bihar, Chhattisgarh, Gujarat, Odisha, Karnataka, Madhya Pradesh, Maharashtra and Rajasthan tend to have the greatest number of religiously-motivated attacks and communal violence incidents against Religious Minorities. 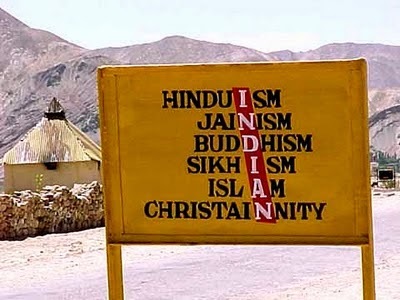 Non-governmental organizations (NGOs) and religious leaders, including from the Muslim, Christian and Sikh communities, attributed the initial increase to religiously-divisive campaigning in advance of India’s 2014 general election. Since the election, religious minority communities have been subject to derogatory comments by politicians associated with the ruling Bharatiya Janata Party (BJP) and numerous violent attacks and forced conversions by Hindu extremist groups, such as RSS, Vishva Hindu Parishad (VHP), Bajrang Dal, Akhil Bhartiya Vidhyarti Parishad (AVBP) and numerous small groups. USCIRF said Hindu groups in December 2014 announced plans to forcibly “reconvert” at least 4,000 Christian families and 1,000 Muslim families to Hinduism in Uttar Pradesh on Christmas day as part of a so-called ‘Ghar Wapsi’ (returning home) program. “In advance of the program, the Hindu groups sought to raise money for their campaign, noting that it cost nearly Rs.2 lakh per Christian and Rs.5 lakh per Muslim. After both domestic and international criticism, the day was ‘postponed’ according to Mohan Bhagwat, an RSS leader”. India sharply reacted on this report, Indian external affairs spokesperson Vikas Swarup said, "Our attention has been drawn to a report of the USCIRF which has passed judgment on religious freedom in India…the report appears to be based on limited understanding of India, its constitution and its society,” he said, asserting the government did not take cognizance of such reports. 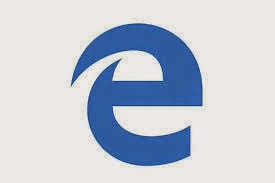 Yesterday Microsoft in their showcase developer event, “Build” announced a new Internet Browser named “Edge”. This new Microsoft offering will replace the older internet browser “Explorer” (IE). The web browser initially codenamed Spartan, later as “Edge”. This features a redesigned tab page that offers suggestions of popular content based on users browsing habits, such as news stories, stock reports, weather and the like. Entire features of the browser have not been revealed thus far, but it is clear this new browser is based on its all new engine and will have tight integration with their Cortana assistant, a built-in annotation feature where users can directly scribble on Web pages to share via social networks, and the distraction free reading mode. Microsoft Edge will be the sole browser running on Windows 10 mobile, although it can be downloaded to Windows 10 desktop, tablets and laptops. It is still not confirmed whether the mobile version of this browser will be made available for Android and iOS. Posted by Aftab Ahmad at 11:33 AM . 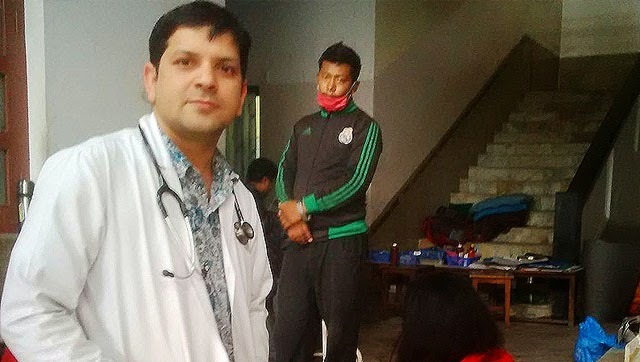 You may not have heard about this courageous 33 year old Gynecologist Dr. Ram Prasad Sapkota working in government run Prasuti Griha hospital in Kathmandu, but the 33-year-old doctor has become a hero in the Nepalese capital's neighborhood after Saturday's devastating earthquake. When the earthquake struck, he and his nursing assistant refused to abandon a pregnant woman who had already lost her unborn child. Had the five-kilogram stillborn baby not been delivered, the mother faced certain death. "I was stitching up her uterus when the tremors came. I had to keep it (uterus) closed to stop severe bleeding. There was no question of evacuating the building as she would have died within minutes," Sapkota told to the news agency. Seemingly brought to life by the tremors, the cautery machine- used to stop heavy bleeding- darted towards the gynecologist and struck him, the table fan toppled and surgical instruments flew off the table as Dr. Sapkota held on to his patient. "I was petrified as I had read somewhere that if a quake were to hit Nepal, Prasuti Griha and Bir government hospital would be the first buildings to be flattened," said Sapkota. The surgery was successful; the woman saved. We salute you Dr. Ram Prasad Sapkota!